The Reserve is a quiet neighborhood of high-end single family homes located on the hypotenuse of a triangle created by Summit Boulevard and Frisco's Main Street. Homes for sale in the Reserve will be a quick drive, or between fifteen to twenty minute walk from Main Street. Likewise, the Whole Foods, Safeway, Starbucks and Summit Stage Transportation Center are a similar distance to the east of the Reserve on Summit Boulevard - the main route between I-70 and Breckenridge. 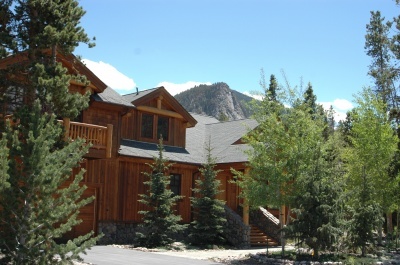 The neighborhood is well organized, laid out in nice 1/4 acre to 1 acre lots, and each house has good privacy, and a mix of full-time and part-time residents, with well-maintained roads and design covenants. Check out the below Reserve at Frisco homes for sale, or read on to learn more about this delightful community. 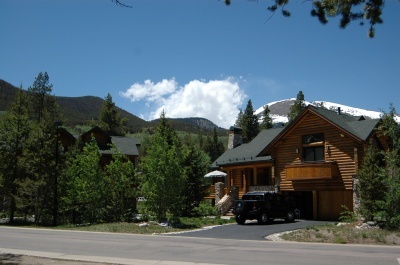 Summit Boulevard connects I-70 to Breckenridge, so the Reserve is a great place for home searchers who want a home for sale that has easy access to Denver or western Colorado or Breckenridge. An inter-county bus makes travel to the all the ski resorts in Summit County easy from the Reserve. The first homes were built in 1997 and the neighborhood gradually developed with custom-built houses usually larger than 2,000 sq. ft but under 5,000. 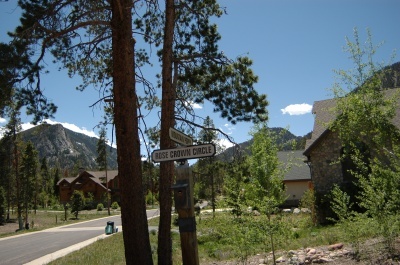 The road names are all native wildflowers, and the landscaping in the neighborhood is contemporary mountain - similar to the community's architectural style. This style of the homes in the Reserve are Frisco neighborhood are often described as spacious, contemporary luxury in a rustic setting. Frisco is a central location in Summit County, at the juncture of Tenmile canyon (which leads to Copper Mountain) and the Blue River valley (Breckenridge is at its headwaters). From Frisco the dramatic 14ers - Grays and Torreys peaks - are visible to the east, Buffalo Mountain lies to the north, and just across I-70 from the Reserve. See something you like? Feel free to contact Breckenridge Associates online or call (800) 774-7970 or (970) 453-2200 to learn more!